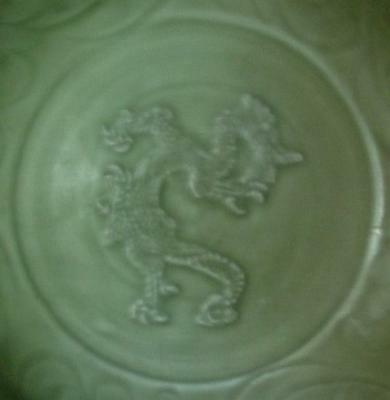 Do you think this is yuan dynasty ?? what do you think about this item?? 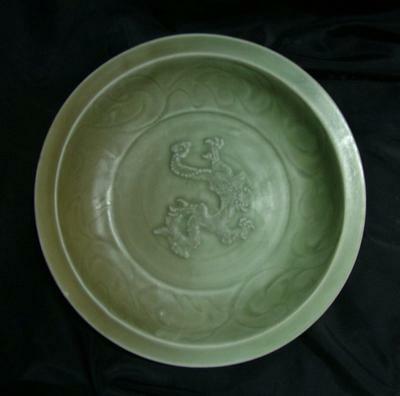 do you think this is yuan/song celadon?? That is a fake, probably made in SE Asia. I suspect it was made in Indonesia, simply beause each time someone asks about this type of fake, he is from Indonesia. 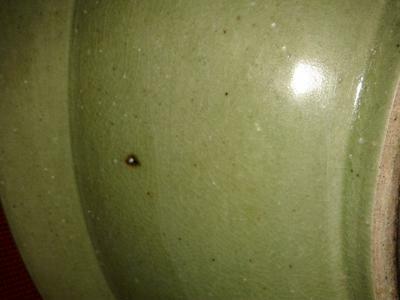 Please be careful when you buy porcelain. 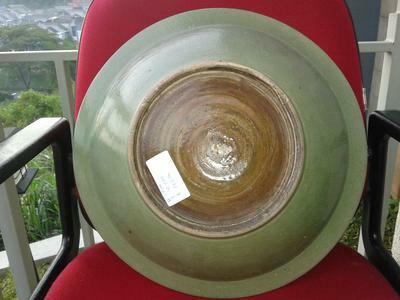 I know that twenty years ago much of the Chinese porcelain sold in Indonesia was old, but they have now a lot of fakes. 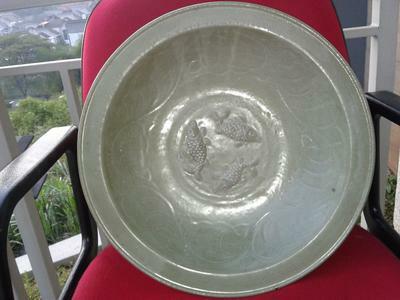 The other celadon plate is the same. 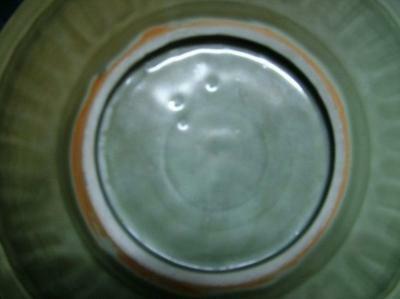 Glaze and foot rim are not authentic. I have seen better fakes. 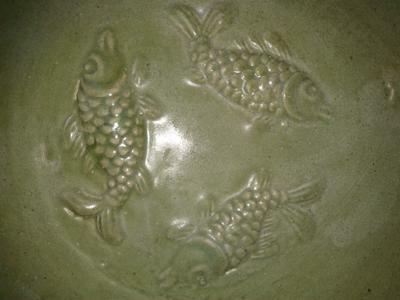 BTW, there are normally two fish, not three or four.